Guardians Of The Galaxy, Marvel’s action-packed, epic space adventure, opened this past weekend and broke box office records. The film centers on brash adventurer Peter Quill who finds himself the object of an unrelenting bounty hunt after stealing a mysterious orb coveted by Ronan, a powerful villain with ambitions that threaten the entire universe. To evade the ever-persistent Ronan, Quill (aka StarLord) is forced into an uneasy truce with a quartet of disparate misfits: Rocket, a gun-toting raccoon; Groot, a tree-like humanoid; the revenge-driven, physical brute Drax the Destroyer; and the deadly, formidable warrior Gamora (the only woman). But when Quill discovers the true power of the orb and the menace it poses to the cosmos, he must do his best to rally his 4 ragtag rivals to team up and defend the galaxy against evil. With all that said about this five-member (1, 2, 3, 4, 5) collective of galaxy defending heroes, isn’t it curious that the corresponding action figure set only includes four of them… StarLord, Rocket, Groot, and Drax. Guess who’s missing? Gamora, the only woman in the bunch… you have to buy her separately. So whom do we hold responsible for this unfortunate snub and segregation of the Guardian’s sole female heroine? With Marvel, the filmmaker, who likely has the final sign-off on their licensed merchandise? Or with Hasbro, the official Guardians of the Galaxy toymaker for Marvel? Maybe both? Sadly, this is what John’s two superhero obsessed daughters run into all the time. 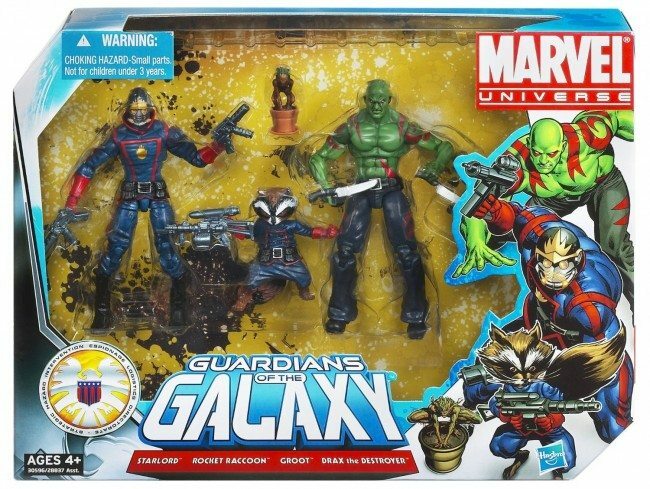 The lead image above is a Hasbro made Guardians of the Galaxy Team Pack issued in October 2011. 9 months later, at Comic-Con in July 2012, Marvel announced that it was making a Guardians of the Galaxy film (the very film that was just released this past Friday, August 1, 2014). So this action figure set was likely made in late 2011 in anticipation of Marvel’s big summer 2012 news, and has probably been in production ever since. This is precisely why this same 4-pack is currently being sold by big box retailers like Walmart now, in conjunction with the film’s recent release. They never stopped making it and now is the perfect time to go full throttle with selling it, despite the older artwork on the packaging (what average, non-comic reading, movie going consumer would notice a detail like that?). To argue that this Gamora-less, 4-pack was based on the comic, not the movie is a moot point. The Guardians of the Galaxy are a 5-member team whether you are reading the comic or watching the movie. So they left Gamora, an equal member of the group, out when they designed this pack then, and she’s still super hard to find now that the movie is out and breaking box office records. 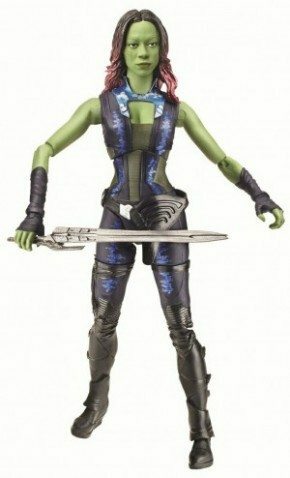 If you look at the official, just-issued 2014 GotG movie merchandise produced by Hasbro for Marvel, you will absolutely find Gamora available as a stand-alone figure, which we noted in the original piece. However, if you look closely, Hasbro only made her as a higher priced collectible figure, one that is “movie-accurate,” with “16 points of articulation,” etc. So she’s in the range of figures that are meant to be put on a shelf, not tossed around by a playful kid. Even if you were open to paying the $19.99 – $24.99 that this 6” collectible Gamora goes for, it’s incredibly difficult to find her at retailers like Target, Toys R Us, and Walmart… the one’s where you buy kids’ toys. The only other way to get Gamora is in a mini-fig 2-pack with StarLord… so she’s NOT alone and she’s not much bigger than a thimble. Now, if you look at the official GotG movie-issue Galactic Battlers line from Hasbro, which is the $9.99 range marketed under “Toys & Games” to kids, Gamora is non-existent. There are 5 figures in this toy line, but sadly she is NOT one of them. Rather you can only get her 4 male team members and the male villain. Sorry kids! We pride ourselves on accurate reporting and proper fact checking, and we take every reader comment seriously. So we’re happy we had this opportunity to do even more research than we did prior to putting this piece together. While we were not aware that the set in the pic originated in 2011, our conclusion is still the same… Gamora gets left out in the cosmic dust. The initial lineup of the Guardians of the Galaxy was Star-Lord, Rocket, Groot, Drax, Gamora, Adam Warlock, Quasar, and Mantis. That’s eight members. Moondragon, Jack Flag, Major Victory, and Bug have also been in and out of Guardians membership. They added and lost members along the way, but they’ve never really *just* been a five member team. The Marvel Now relaunch to coincide with the movie had Iron Man. They had a very brief period with just the five of them before Captain Marvel and Agent Venom joined up. The box set (as stated earlier) was released in 2011. This means that it was planned no less than 1 year before that. It usually takes a minimum of a year to go from concept to store shelf. So in reality, this set was in development nearly 2 years before the movie was even announced. It’s also based on the comic (as others have stated) and not the movie. In the comics, the Guardians were not always a 5 person team, they actually had a revolving cast of characters. So Gamora was left out but so were Captain Marvel, Bug, Phyla Vell, Cosmo, etc. As for Marvel saying “female characters won’t sell”, perhaps you should look at the other multi packs from the Marvel Universe line. Invisible Woman, Mockingbird, X-23, Storm, Jean Gray, Phoenix have all been released. Not to mention there’s plenty of female single card releases. Nice attempt at trying to stir the pot though. Gamora was a part of the current team along with Starlord, Rocket, Groot and Drax since it’s inception in 2008. Other members joined for specific storylines, but no one else stayed around for long or was considered a core member. When the comic featuring the new team launched in 2008, none of those other temporary members were on the cover. Gamora was. The original May 2008 cover had 6 characters on the cover. Groot was not even on the cover. There were 7 members on the team. Star Lord, Rocket, Groot, Gamora, Drax, Quasar and Adam Warlock. Once again, peavey of females were made in other multi sets as well as single carded so the entire article is pointless. This set has absolutely nothing to do with the movie. If Groot was not on the cover, why did he make it into the toys and Gamora did not? My daughters would like a regular-size Gamora action figure. There are currently a line of GotG action figures called “Galactic Battlers” aimed at kids available at big box retailers everywhere for an inexpensive price of $9.99. Could you please tell me where I could get a Gamora figure in this line? Your daughter wants a “regular size Gamora”. Not really sure what size that is but you then mention Galactic Battlers. There is no Gamora in that line but there is a Gamora in the Legends line. Galactic Battlers are approximately the same size as the Legends figures so it should fit right in. There’s also a Gamora in the Lego line, Funko Pop, Funko mini bobbles, Heroclix, the 3 inch movie line, mini mates, Hot Toys 12″ line (200 dollar figure released for collectors, but made nonetheless) and the previously mentioned 6 inch Legends series. That’s at least 8 figures made, all at different scales and price points. As for Groot making the cut, he’s one of the stars. Yes, there are 5 hero characters. But let’s be honest, Groot and Rocket steal the show. That’s why there is more merchandise for those 2 than any other character in the movie, even more than the main character Star Lord. It’s funny how you mention above that Drax gets snubbed but there’s other male characters so that’s ok. So we’ve established that the multi pack shown has nothing to do with the movie, we’ve established that the Marvel Universe line (now called Infinite) has plenty of females in both multi and single packs. I’ve given 8 examples of a Gamora figure being made (could be more that I didn’t list), and we know that Drax also got snubbed on the amount of figures made. So once again, what is the point of this article, other than try (and fail) to make the toy industry look sexist? The Legends line costs twice as much as the Battlers line as it is made primarily for collectors like yourself — not kids. It is also poorly stocked by big box retailers. We’ve been looking for one in the regular stores for more than a month, with no luck. She is available as a LEGO — as part of a $75 set. Guardians Funko Pop and minis are not available at normal retailers. Heroclix are blind buys — you have no guarantee you will get a Gamora – and again are more for collectors or to play a game aimed at adults. They are not found in the toy department. Hot Toys as you noted costs $200+. You’ve listed a slough of options for collectors — not little kids. No one is arguing that the male collector’s market is underserved. You can spout all the things you think you know all day long. I have been there in the trenches with my two girls as they dig through all Avengers figures on the shelf only to find there is no Black Widow; the Justice League figures only to find no Wonder Woman; and the Guardians figures only to find that the only Gamora they can find is a miniature packed with Starlord. Pointing out that Gamora is available as a $200 collectors statue or as a small part of a giant $75 LEGO set shows a complete disconnect with reality. It does not give the girls parity with the plethora of inexpensive choices that the boys have readily on the shelves of any retailer. That Hot Toys figure is pretty amazing, though. Isn’t it? You’ve “established” nothing of merit. You failed to address the fact that the pack shown is NOT movie related at all. It’s based on a comic team that consisted of 7 characters. So 3 were left out of the set and Groot was actually nothing more than a tiny plant in a pot. The set was in the Universe line that featured multiple female characters, both single and multi sets. So there’s the answer to why Gamora isn’t included. As for the movie line, Drax is excluded just as much as Gamora. Groot and Rocket dominate the shelves, then Star Lord, then Gamora and Drax. Why? Popularity. Groot and Rocket steal the show, Star Lord is the hero, Gamora and Drax are simply add ons, much like Hawkeye and Black Widow were in Avengers. Were they essential to the story? Absolutely. Were they the stars? Of course not. I gave you examples of Gamora figures and you gave nothing but excuses as to why they’re not good enough (I love how you assume I’m a collector). I have a 3 year old son and he loves comic characters. He actually has a few Groot and Star Lord figures but doesn’t want the others. He loves Iron Man, Hulk and Captain America. But let’s be honest-the action figure market is targeted at boys. Why? Because that’s who buys the majority of them (we can agree on that right? ). The toy industry has been on a steady decline in the last few years. They must be careful with what the produce. So they produce what they think will sell. Heck, even Transformers (one of the biggest lines every year) is struggling. Marvel is actually one of the biggest contributors to female action figures. As stated, the Universe line and the Legends line had plenty of females. They’ve also got a female based Spiderman movie in the works (not sure of the main character but it will likely be Black Cat or Spider Woman), they’ve got a strong female in every movie (Black Widow, Gamora, Pepper Potts, etc). This article has so many holes in it and every time one is exposed, it’s filed with excuses. 1. 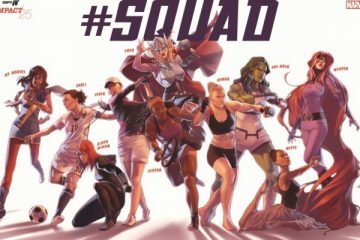 This is from the comic book and there were other temporary members of the team who were also left out, so it somehow negates the fact that they excluded Gamora from the movie action figures as well. I think that’s a spurious argument. 2. Drax is excluded just as much as Gamora, so it is OK. First, Drax is not the only option for boys looking for role models. Second, he isn’t “excluded just as much as Gamora.” He is available for $9.99, along with the rest of the team (except Gamora.) He’s also in the set that you were picking apart a moment ago, and Gamora was not. And you can buy foam Drax daggers at the toy store. Nothing for Gamora. 3. Your examples of Gamora figures include $200 collectibles and items only available in comics shops. 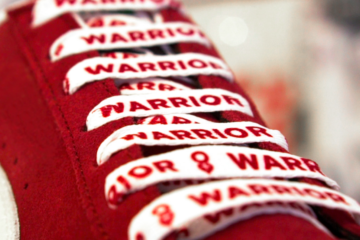 They do exist, but are not priced for kids or in a place where their parents shop. I have no idea why I would assume that a guy with an encyclopedic knowledge of action-figure lines and who refers to “single card releases” is an action-figure collector. Don’t be disingenuous. You continue to conflate the collector market aimed at adults with the more general market aimed at kids. We are talking about kids here — not grown men who collect $200 statuettes. I’m going to bow out of this conversation now. I don’t think it is very productive. 1. The initial article was about why Gamora wasn’t available in the 3 pack shown. This set is NOT movie related and excludes other figures from the team (as well as relegating Groot to an accessory). The initial article completely missed the point that this set was released years before the movie so the entire article is based on nothing. The entire article was shown to be nothing more than someone trying to make something out of nothing simply because they didn’t understand what the product was. 2. I guess you made your point here. Gamora didn’t get a dagger so obviously Marvel is sexist. 3. I have plenty of examples of Gamora figures. There were no guidelines given as to what makes a toy fit your list. The Legends figure is easily found in Target, Wal Mart or Toys R Us. The Pop figures can be found at some Targets and at all Barnes and Noble stores. But you’ll just think of excuses like you have the entire time, on why they’re not real toys. I actually collect GI Joe figures. These aren’t even available at retail anymore (with just a few hitting Toys R Us as exclusives in the next coming months). They’ve had the same problem with the lack of female figures. The toy companies say they don’t sell. Don’t blame Marvel or Disney, blame the consumers. I never confused the collector market with the toy market. In fact, most people get them mixed up anyways. I buy son a toy and I’m a great father. I buy myself a toy and I’m a terrible collector keeping them out of the hands of the poor children. I actually collect comic books (only CGC graded because I display them) and I collect Hot Toys. I already have Rocket and Groot ordered. That’s it, no Star Lord, no Drax, no Gamora. Let’s be honest, you bowed out a while ago because you have yet to bring a solid point to the argument. Good day, sir. Also, one thing I don’t see mentioned in the discussion is that since that particular set is based on the comic book versions of the character, a comic version of Gamora would really not be considered appropriate by many parents for their kids (boys or girls). As a father, I wouldn’t want my daughter to have a comic-version of Gamora. Stick with the movie version. 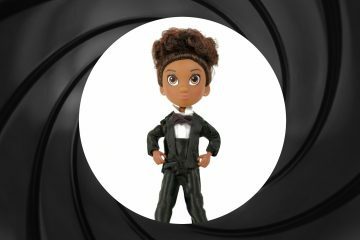 Additionally, when movies are released, any action figure merchandise that’s available is trotted out – not JUST the merchandise that is JUST for the movie. As with any toy line – and having been both a kid and a collector I can speak from years of experience – there isn’t always going to be exactly what you want, at the price range you want, in the scale you want and in the style you want for both girls and boys. I myself was looking for some How To Train Your Dragon 2 toys for my daughter who LOVES that movie and they simply didn’t make what I was hoping to find so this is not a problem unique to Guardians. It is not unique to the Guardians. Girls get slighted in the action figure aise pretty regularly. Target brought in the Justice League toys last year. While Batman, Flash, Superman and Green Lantern are readily available in a variety of forms and price points, Wonder Woman is not available unless you buy the $50-$60 collector’s set. But as noted, Gamora was also left our of the indivdual $9.99 action figures released for the movie. She’s available in the Marvel Legends series, but those figures are more expensive and are designed for the adult collectors market, not for kids. As far as Gamora’s comic-book uniform being inappropriate, it depends on who is drawing her. There have been versions that are basically two strips of leather, and there have been more modest versions. They could have used one of those. Look at the logo on the box, the uniforms of the characters, and the date of the reviews on Amazon. This set was released in 2011 and is based on the comics. It includes the main characters at that point in the comic’s run. Some basic research by this article’s author would have been nice, even if it would have gotten in the way of this article’s narrative. For the record, the movie’s action figure line includes Gamora both as an individual figure and in a pack with Star-Lord. Every movie figure is available individually. Every movie figure is available in a 2-pack or 3-pack. Gamora is not excluded, and Hasbro, Marvel, and Disney treated Gamora the same as the other characters. This article was written with an accusatory tone asking why Gamora was excluded from the movie’s action figure set. The set in question is not from the movie. The basic premise of the article is mistaken, which happens, but own it please. boy nerd we appreciate you bringing this to our attention as our team prides itself on accurate reporting and proper fact checking. We have made an update to the original article, as you’ll see above. Starlord, Rocket, Drax, Groot and Ronan are all available as inexpensive $9.99 solo action figures made for kids as part of the “Galactic Battlers” set. Please show me a Gamora action figure in that line. My two daughters would very much like to have one. We found this particular collection to be pretty cool (each one has an action they perform when you squeeze them). But it is also frustrating because when we initially purchased a couple of them they showed Gamora on the box, so we assumed the whole “team” would be available and that maybe our retailers just didn’t have them (“maybe they made fewer of her” we thought). We eventually ended up with exactly the set shown here. Employees at ToysRUs and other retailers here (Vancouver, Canada) kept telling us to check later. 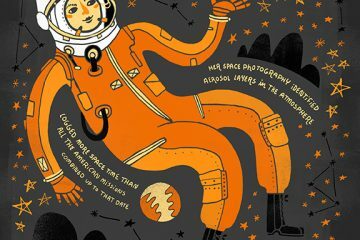 She never materialized. My son was pretty disappointed when I brought Ronan home (the last figure I could find) and told him I’d pretty much given up on completing the set after a year of checking around local stores. “Who wants the bad guy?” was his reaction. He substitutes a long legged plastic green frog for her with a Lego sword when playing, so I’ve decided not to bother getting one from another set. They don’t match for display purposes anyway: too large, too small or just really crappy looking, or upwards of $30 (way more than the $7 I paid for each of the rest). 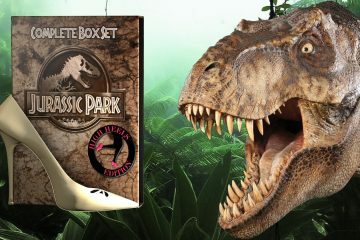 Here’s the package you get with each one in this set. With very slight differences (info about the item included) the image on the left is identical. Why is Gamora on the box if she isn’t available? Pretty damn misleading if you ask me. This would be like writing an article implying that Lando Calrissian was not included in a “Star Wars: A New Hope” action figure set because he was black. Even if the set could still be found in stores once the Empire Strikes Back premiered, the article would be fundamentally flawed. Lando was not in “A New Hope,” so you would not include him. Gamora was in the “Guardians of the Galaxy” comic book all the way back to the current team’s reboot in 2008 — three years before the set was released in 2011. So this is a nonsensical argument, and I suspect you know it. Or perhaps you are not as much of a nerd as you think. Man, that’s so depressing, especially because I was really pretty happy with gender-related stuff in the movie. I guess the movie team and the merch team clearly aren’t on the same page. They are. This set is from 2011, before the movie was announced. The current figures based on the movie include Gamora both as an individual figure and in a 2-pack with Star-Lord. There is no “boys only” set with everyone except Gamora. We have been looking at Target on a regular basis for months now. Lots of Rocket, Starlord and Groot individual figures — but no Gamora by herself. It looks like they make one in the Marvel Legends series, but that has not been available at the stores I have shopped at. Drax gets shortchanged, too — but he’s not the only guy in the movie. Yep. Quill wanted to sell it to make money. Gamora was the moral center that insisted that was wrong. Eventually, Quill comes around, but Gamora is the one that helped show him he could be a hero. To the movie’s credit, all of the Guardians are given moments and times to shine. The toys don’t reflect this, unfortunately.